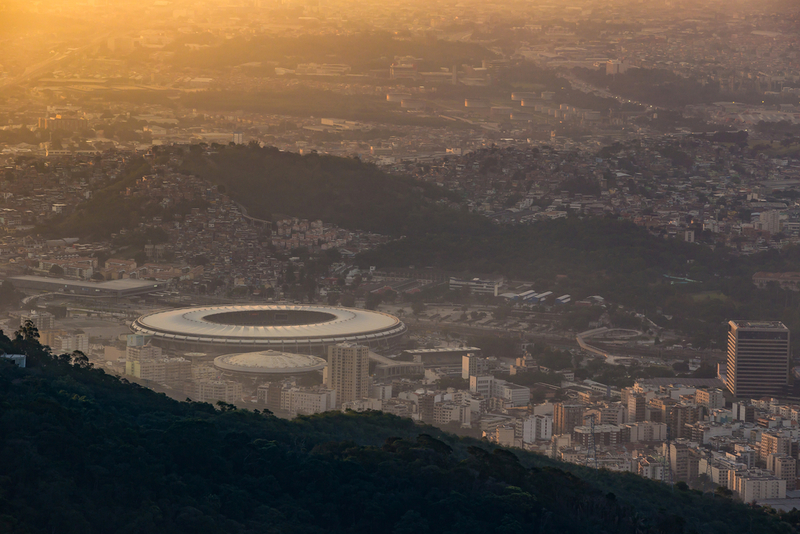 With the opening ceremony of the 2016 Rio Olympics merely days away, the Brazilian city has already been inundating the major media outlets and, it must be said, it hasn’t all been good news. But criticism seems to have become an almost integral part of the Olympic tradition in recent years, a much beloved de-facto sporting event, if you will. If London, Beijing and Athens couldn’t avoid worldwide scathing condemnation, why should Rio? Criticism isn’t always detrimental, mind you. The Rio Olympics have an uncanny way of highlighting a particular country’s issues which don’t normally make headline news. London had its environmental emission scrutinized, China had to defend its woeful human rights records and Rio, well….Rio probably should’ve hired a few more plumbers. Overall, the colossal pressure and blinding spotlight on an Olympic hosting country to ‘deliver perfection’ is not without merit. Pride alone can make one clean up one’s act, blinding spotlight notwithstanding. Olympic stadion in Rio. Photo credit: Shutterstock. Yet as the world collectively shakes its judgmental head at the seemingly “uninhabitable” state of the Rio Olympic Village (to quote Kitty Chiller, the head of the Australian delegation) we’d love to highlight some of the positive stories that should be coming out of Rio, but simply aren’t. Major media outlets may not be interested in the beneficial effects the 2016 Rio Olympics will have on the city and its inhabitants, but we certainly are. Museum of Tomorrow. Photo credit: Bernard Miranda Lessa and Thales Leite. The gentrification of some of Rio’s formerly run down and crime-ridden areas, namely the port area, cruise terminal and immediate city centre, is arguably the most positive effect the Rio Olympics have had on the city so far. The transformation of these areas (the port area particularly) has been nothing short of phenomenal, swiftly cementing their spot as some of the most delightful areas in which to take a relaxing stroll. It’s these kinds of parks that the people of Rio have been sorely missing, and they’ll be enjoying them long after the Olympic crowds have gone home. 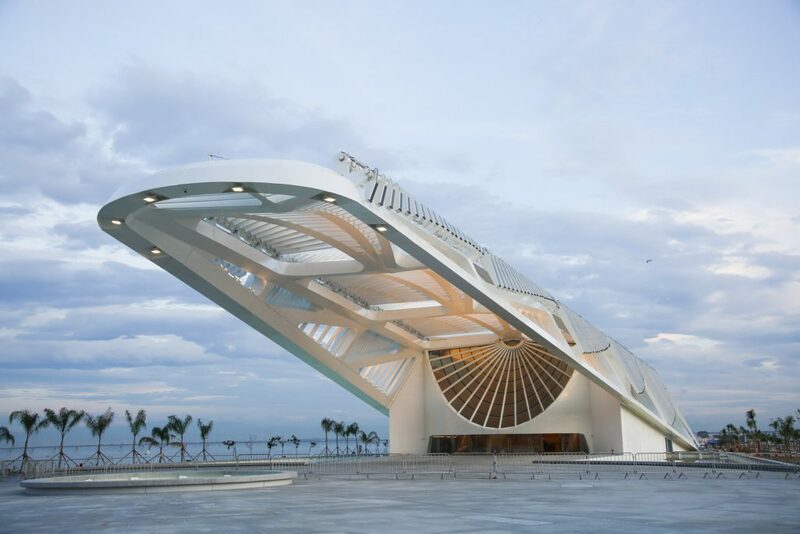 With plenty of alfresco dining options and a host of attractions (including the new and eye-catching Museum of Tomorrow) Rio’s slowly but surely revitalising its image. A much-needed upgrade to Rio’s transport infrastructure has caused the most disruptions, and has been heavily criticized both home and abroad. But it’s worthwhile noting that unlike many other Olympic hosting cities in the past, Rio simply didn’t have the infrastructure in place on the get-go. It had to build it, and fast. Roads were blocked, traffic was congested, and the entire city looked like one gigantic construction site for a few years, but at the end of the day, Rio has been quite literally transformed thanks to the 2016 Olympic Games, almost overnight. And the ones who will benefit most are the inhabitants of Rio, not the athletes, the spectators, and all the foreign tourists. Just a few years ago, only an estimated 20% of Rio inhabitants had access to mass transport systems. By 2017, this figure is expected to reach 63%. Most of the beneficiaries will be residents of what once were underprivileged and marginalised areas of the city, who will be left with premier parks and recreational areas, and fast access to all corners of the city. Whilst the fourth metro line looks like it will be open just in the nick of time, the new VLT light-rail system has been operating for a couple of months now and, although it’s suffered a few teething issues (which new transport system hasn’t?) the prospects are looking rather great. Long after the shiny medals are awarded and all the ceremonial hoo-has have been completed, Rio’s light-rail will continue to expand, culminating in 8 different lines, operational around the clock, with the capacity to move 300,000 people a day. Cable car to Morro da Providencia. Photo credit: Shutterstock. Additionally, a new cable-car has been built linking Morro da Providencia, the oldest favela in Rio, with the city centre. This project has not come without controversy, with many residents decrying the use of funds, which they believe could’ve been better spent on sanitation. Right as they may be, it is still undeniable that life for thousands of favela dwellers has improved. The great majority are unskilled workers with low-paying jobs in the city, and their commute has been made easier. A few residents have even opened food and drink kiosks around the viewing platform, capitalizing on the increased flow of tourists to the area. Added police presence has also resulted in a decline of crime in this troubled quarter of the city. 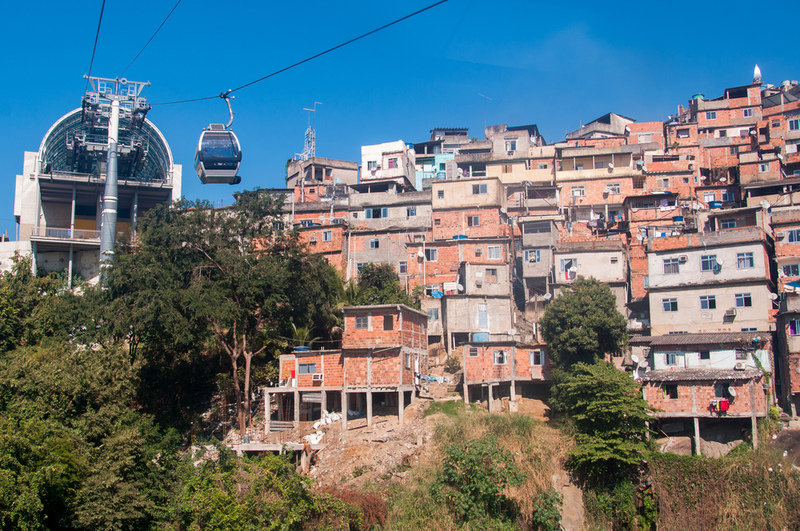 The New York Times boldly claimed that Rio is ‘destroying its past in the name of its future’ by building the new state of the art cable-car, but it’s presumably easy to be critical when one is not living in a favela. Increased security is the one added bonus which everyone seems to be relishing right now, locals and visitors alike. Much of the concern about Rio hosting the Olympics have been about safety, with the focus primarily on Rio’s long-held notorious reputation as a dangerous city. Recent global events have also highlighted the need for extra security to curb terrorism fears. But if our reports on the ground are anything to go by, Rio has never felt safer. Irrespective of the fact this may be a temporary boost, the Brazilian government has mobilized an impressive security workforce. In total, there are currently 85,000 soldiers and police patrolling Rio’s streets, mostly concentrated in areas where tourists, athletes, and events will be held (but not exclusively, even the most notorious favela has been transformed thanks to heightened security). To put it into perspective, that is basically more than the entire Australian Defence Force (including reserves) patrolling selected parts of a single city, in addition to security forces from competing nations (FBI, Australian Federal Police, etc), and private security. The government is intent on not taking any chances, and with this kind of visible protective presence, it’s hard to envisage any major security issues during the Rio Olympics and Paralympic Games. There are also plenty of heart-warming stories on the street, yet for whatever reasons, they don’t seem to make it to press. Stories of companies and wealthy locals purchasing event tickets in bulk to donate to street kids, yet aside a few random Facebook posts they’ve received no press coverage at all. Apparently, ‘basic and austere’ Olympic Village apartments make for a much easier story to sell. So forgive us for wanting to insert a little perspective into the equation. 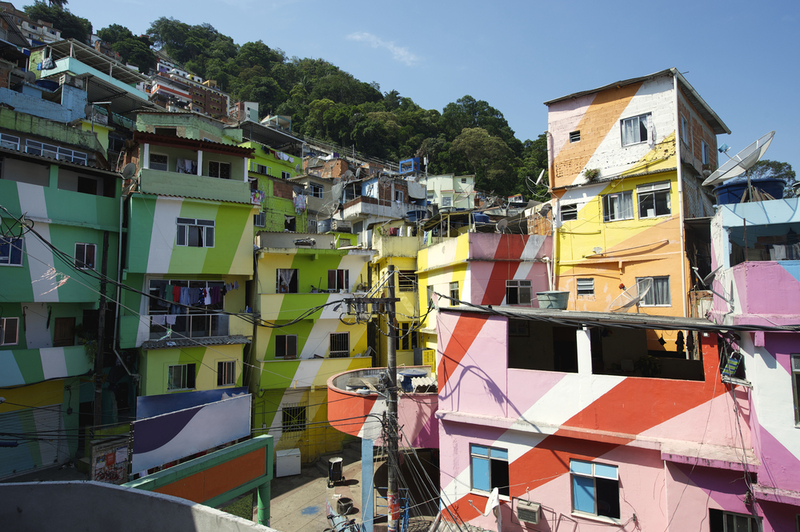 Favela in Rio. Photo credit: Shutterstock. 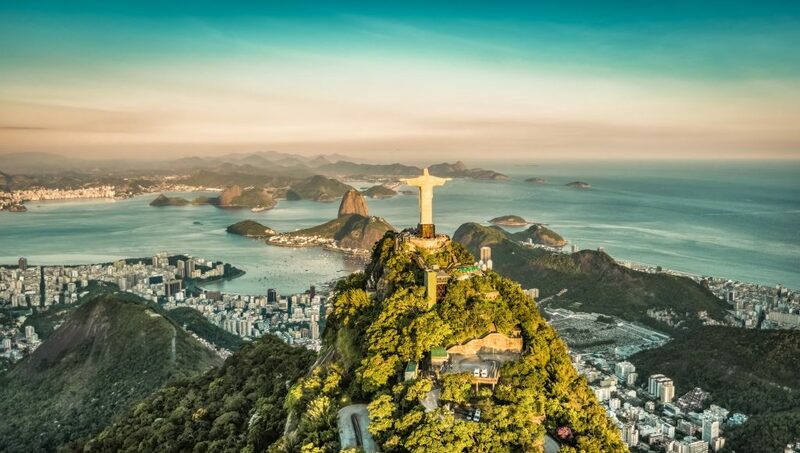 The hosting of the 2016 Rio Olympics serves as a pivotal reminder that Brazil is tipped to become one of the world’s top 5 economic powerhouses by 2050. This is no shrinking violet, this is a country on the rise, a country with 200 million people, one that has struggled with an array of ills over the last decades and one which wants to desperately rise to the occasion. So give Brazil a break. Because even though you may see reports of shortcomings and unfinished work in the Olympics Village, these Olympic Games have already shown incredibly favourable effects for Rio de Janeiro and its almost 6.5 million inhabitants. And if you ask us, that’s just the stellar reward Rio de Janeiro deserves. Contact Chimu Adventures about possible trips to Brazil and Rio.